Overview: Gary Cohen is an enthusiast for the sport of running. This enthusiasm has branched out to include magazine/essay writing, interviews, coaching and public speaking. 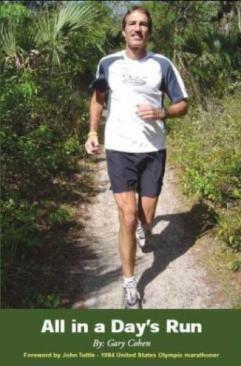 In addition, Gary also leads trail runs in Central Florida and announces track meets. In-depth interview with Herb Douglas - 1948 Olympic Long Jump Bronze Medalist; 3-time AAU Champ; 1946 NCAA Long Jump Silver Medalist; PR of 25 feet, 3 inches; 5-time IC4A Champ, four-time Pennsylvania high school state champ. 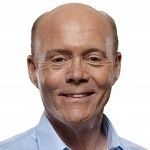 His career was as a Director of Sales and Vice-President for Pabst Blue Ribbon and then Moet Hennessey. He is known as 'The Godfather of Hennessey' for making it number one in the African-American community. Please add my website as a secondary home page. Friend me on Facebook or follow rungarycohenrun on Twitter for great updates on running tips, stories and my running with photos. Where Do You get Sore or Injured Most? Why Don't Kenyans Run Ultramarathons? Marathon Boom May be Hurting Track and Field? To Even the Field: Should Doping be Legalized? USA Men Preview: Chelimo Leads 5k; 9th 10k for Rupp? Why Even Have The Olympic Games? Gary Cohen Running Vault: Hundreds of essays to help you! Tue, Mar 19, 7:00 a.m.- 5 miles. Fri, Mar 22, 7:15 a.m. - 5 miles. Sat, Mar 23, 7:15 a.m. - 8 miles.